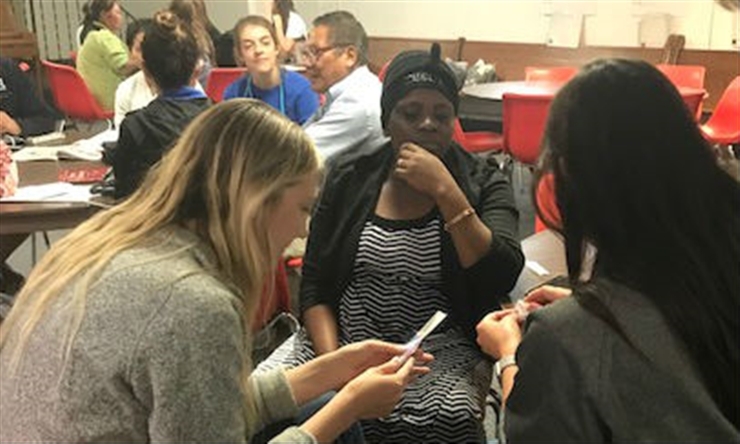 Classroom lessons in communicating with patients became very real for students in the SAU Master of Physician Assistant Studies program, who found ways this spring to overcome language barriers and help refugee families stay healthy. Mary Jo Bloominger, MPAS, PA-C, assistant professor and academic coordinator of the MPAS program, said serving underserved communities is a focus of all College of Health and Human Services programs, and the MPAS students were generous in giving their time to help meet the needs of the refugee families. 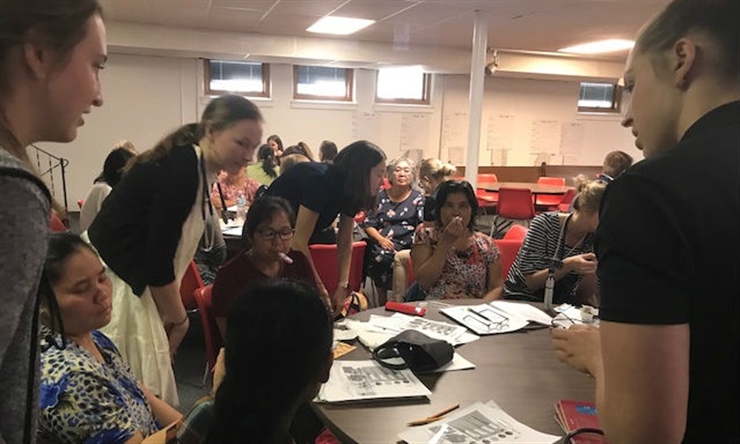 Spring Forward Learning Center in Rock Island, Illinois, provides a family literacy program for immigrant and refugee families whose native languages include Burmese, French, Karen, Swahili, Kirundi and Arabic. The classes for adult English learners focus on literacy and life skills. Theresa Schlabach, PhD, associate dean for the College of Health and Human Services and professor in occupational therapy, volunteers with Spring Forward. She told Bloominger there was a need for the families to learn the signs and symptoms of illnesses and how to use a thermometer, a basic home medical tool most of the Spring Forward clients did not own. The MPAS students volunteered to raise money to buy a thermometer for each family and then go to Spring Forward to educate the families on how to use it. They also taught families how to recognize symptoms of common illnesses, the difference between a virus and an infection and how to interpret blood pressure numbers, pulse rates and more. To work around language barriers, the MPAS students used layman terms and created pamphlets and visual illustrations. "We also sat and talked with them individually, and we showed them medical instruments that are used during a visit and how they work. We also let them hold and try the instruments for themselves," said MPAS student Korbyn Granado-Bolton. The hands-on experience helped increase the client's understanding and comfort level with the U.S. medical system, which is important because unfamiliarity can be a deterrent to seeking treatment. "We wanted to make it less scary when they have to go to the doctor," Granado-Bolton said. 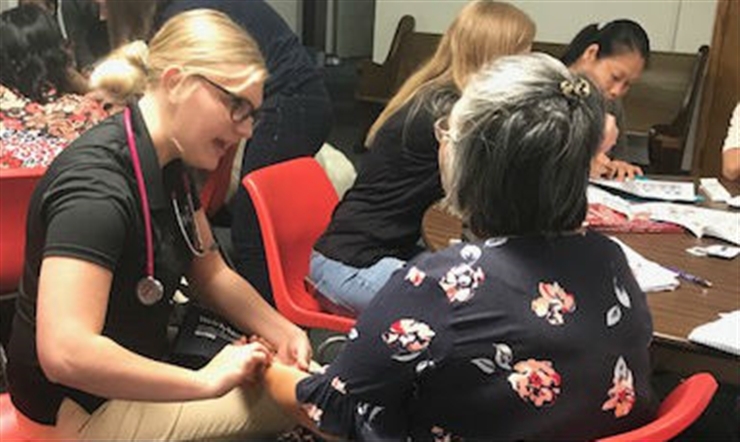 Classroom lessons in communicating with patients became very real for students in the SAU Master of Physician Assistant Studies program. 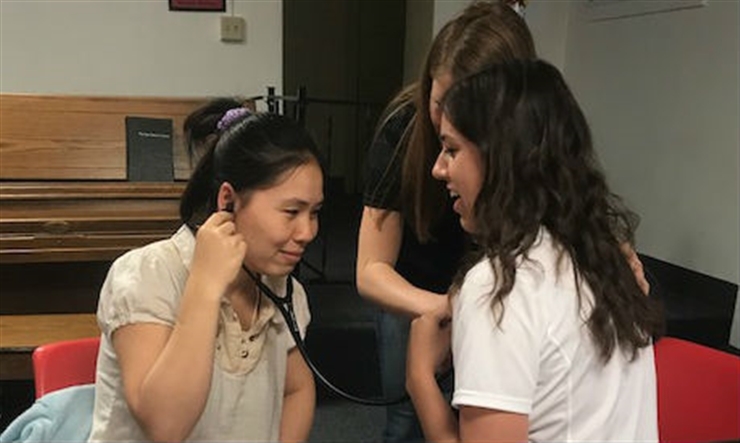 This spring, they found ways to overcome language barriers and volunteered to help immigrant and refugee families stay healthy by teaching them about common illnesses and how to use a thermometer. "Today, much of the focus of healthcare is trying to prevent common chronic conditions and being able to intervene and educate patients we know are more predisposed to certain conditions," Granado-Bolton said. "In this case, we wanted to educate the families so they would know, for instance, when it is OK for a fever to be a little high and when to go see someone so an illness does not get out of control," she added. The parents in the Spring Forward program also got to practice using the thermometer and other medical instruments on their children. 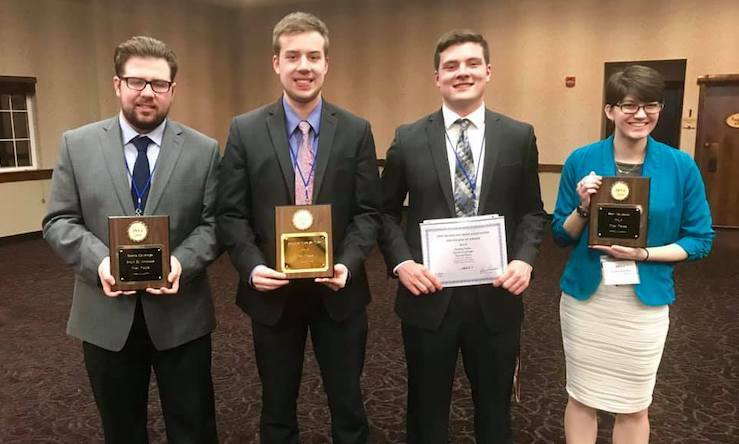 "For our students, the experience of meeting people from different cultures and working through a communication barrier, it was real," Bloominger said. "It was good practice. They were able to interview and talk with each person, and they did a very nice job. And, I think they found it rewarding." Granado-Bolton said serving others, especially underserved populations and communities, is heavily stressed in the MPAS program. Working with Spring Forward fit so well within that mission, "and it helps us be more prepared for our future as well. 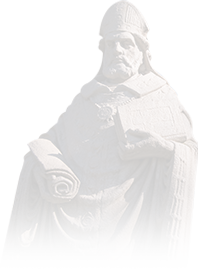 We talk about patient education in class and we are tested on it, but the best way to learn is to go do it." She hopes she gets more opportunities to work with underserved populations. "Reaching out and helping was a good experience, and it was fun to get to know people from different backgrounds because it expands our cultural understanding." "For our students, the experience of meeting people from different cultures and working through a communication barrier, it was real."